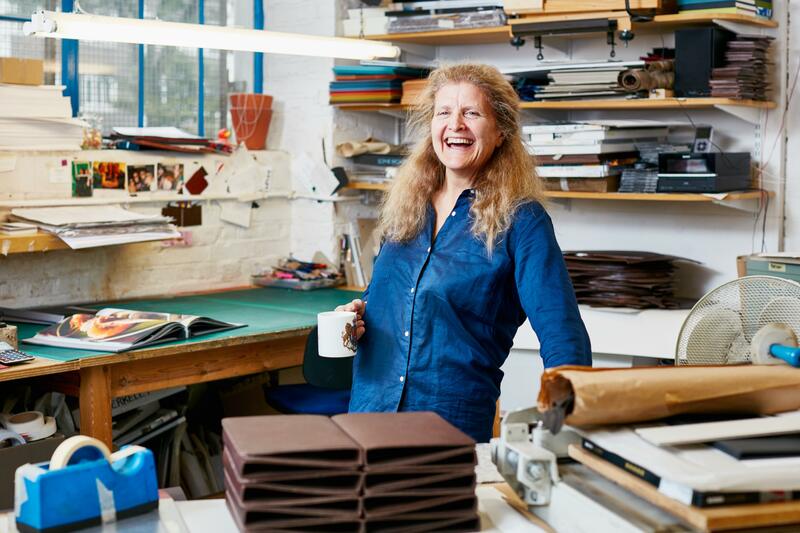 Delta Design is an innovative bindery situated in Seven Sisters, London, established over 30 years ago by Cathy Robert, specialising in photographer’s portfolios and bespoke boxes. We are made up of a small team of professional and creative binders who can cater for any design you require, from stand out portfolios and iPad cases, limited edition books, high end menus, to one off prototypes or the repair of your favourite book. 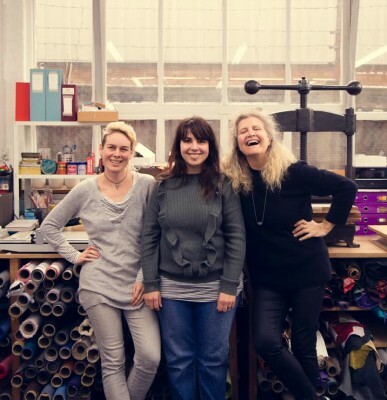 Delta Design is now offering Book Binding courses. So watch out for new new dates or contact us for more information. Delta Design is a proud sponsor of LPA Futures. For the last few years we have been sponsoring this exciting project by providing a bespoke portfolio to each of the 5 winners. We feel it is important to support these up and coming photographers and are always keen to see the talent of the future. We whole heartedly recommend MPrint as quality printers. We have been working with them for a number of years and feel confident that they provide a great service for anybody that requires prints for one of our books or portfolios. Additionally we have collaborated with MPrint to develop a brand new, more affordable option, the Starter Portfolio, aimed at students or assistants who are looking for a stylish but more economical way to present their very best work. MPrint will provide a 25% discount on printing when purchasing a Starter Portfolio. We also recommend Photofusion which is London’s largest independent photography resource centre. Providing a diverse range of photographic services that continually respond to the revolution and evolution of lens-based imagery. Photofusion delivers vital training, support and career progression to photographers of all abilities. The centre’s facilities include digital suites, darkrooms, exhibition production services, picture library/agency alongside a contemporary gallery which places an emphasis on showcasing emerging photographers, alongside new work by mid-career artists. The exhibition programme includes artist talks, panel discussions and occasional related masterclasses or workshops. For those photographers needing some guidance Zoe Whishaw is a Commercial Photography Consultant and Mentor providing creative direction and strategic advice for photographers at all stages in their careers. She runs seminars and interactive workshops to help photographers hone their professional practice and also works on a one-to-one with those who need bespoke, objective advice to focus their creative energies. 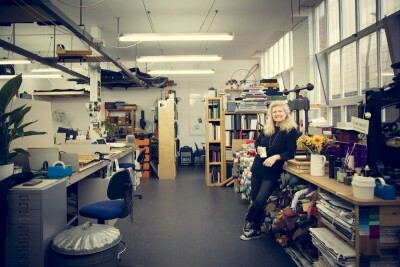 Ex Photo Agent Emma Taylor is the Founder and Director of Creative Advice Network, a company offering support and advice to companies and individuals within the Photographic, Advertising and Design sectors. Often described as a “Creative Mary Poppins” Emma flies in and helps Creatives when they need her most, giving them the tools to strike their own path and a space to talk when they need help clearing the creative fog! Cathy has been undertaking various projects for Redman Whiteley Dixon for many years now and along with her usual happy, friendly customer service. We always receive a first class, top quality product. I would recommend Cathy to anyone and everyone who is looking for nothing less than absolute perfection! Thank you Cathy and Team for all the fabulous products that you have created for us.